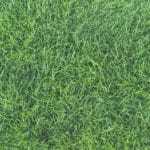 Green grass is the goal of nearly all proud homeowners. 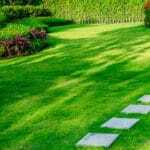 As the saying goes, the grass is greener on the other side, and sometimes, it is…when you follow these tips to help your lawn be the greenest on the block. 1. Take Care of the Roots. And you love Spot, but your grass doesn’t. His urine causes patches in your grass that are unsightly. Try to train him to go to the bathroom in the same spot, preferably in an inconspicuous area in your lawn. While you can’t avoid all the effects of his bathroom habits, you will at least limit the area that it affects. 2. Choose The Right Kind of Grass. Where do you live? Is your lawn shady or full-sun? These are important questions to ask when you want beautiful green grass. Not every grass will excel in all areas, so it’s valuable to do this research before you head to the store. As a local company, the professionals at Green Lawn Fertilizing know the ins and outs of your area and the type of grass that will thrive. 3. Prepare Ahead of Time. 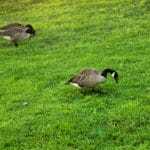 A green yard in the spring starts in the fall with aeration and seeing. Aeration is allowing air, water, and nutrients to circulate through your lawn by creating small holes in the soil. And seeding, as it sounds, involves spreading grass seed. 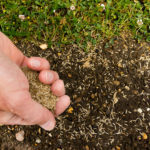 The small holes in the soil create the ideal for the new grass seeds to root. 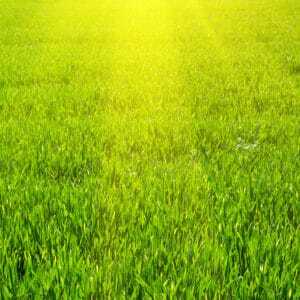 A high quality fertilizer will give your lawn the greener appearance you desire. If you are looking to fertilize your own lawn look for a fertilizer like what Green Lawn Fertilizing uses that is rich in nitrogen. 5. Call Green Lawn Fertilizing for Help. At Green Lawn Fertilizing, we are experts at creating luscious, green grass, and we provide year-round care—including aerating and seeding. All you’ll have to do is wait for your grass to grow. Give us a call today at 888-581-5296 for a free quote.